Schott Distributing Co., Inc. is a locally owned – family operated wholesale distributorship founded in 1955. In 1955, Bill Schott acquired the Anheuser-Busch distribution rights. 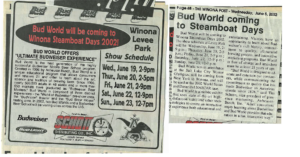 Later the business was transitioned to the second generation including Tom Schott, Bruce Schott, Mike Schott, Bernie Schott Sr., and Mary Kay Peshon. 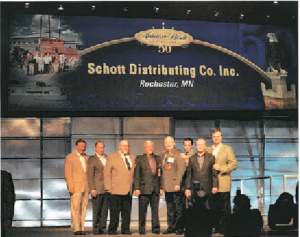 In 2014, Schott Distributing transitioned completely to the third generation. The third generation structure includes Kristopher Schott , Bernie Schott Jr., Ben Schott and T.J. Schott. The success of Schott Distributing is currently intertwined with the communities of Rochester, Austin, Winona, and Albert Lea throughout an eight county territory in southeastern Minnesota. Schott Distributing has always been a diverse beer distributor by representing beers and non-alcohol beverages from around the world through over 61 different suppliers. The company takes pride in providing excellent service to retailers through the strong efforts of 75 team members. 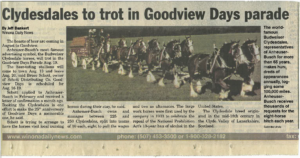 These employees are intertwined into their communities to help make Schott Distributing involved in each community throughout the territory.